Here’s one for “The Things You Learn” department: During the Lovetown tour, Edge and BB King (and others, probably) played a lot of poker. On one occasion, they apparently had a pretty big poker match going while the tour was in Sydney, Australia. 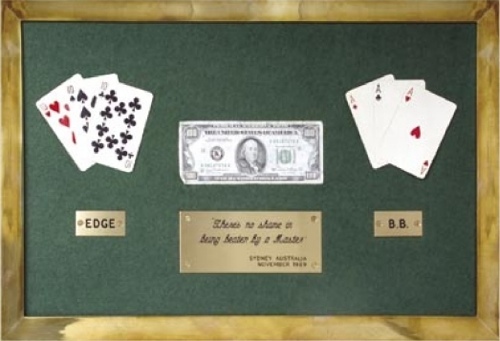 Seems like there was one hand where the pot was at several hundred dollars, but Edge was out of money. He had to borrow $100 from BB King just to stay in the match. That image is from a book called The B.B. King Treasures.